Order your Hosa DMT-485 5-Pin DMX Terminator from AMS and enjoy Fast & Free Shipping. Get the Best Deal with our Lowest Price Guarantee & Great Customer Service! 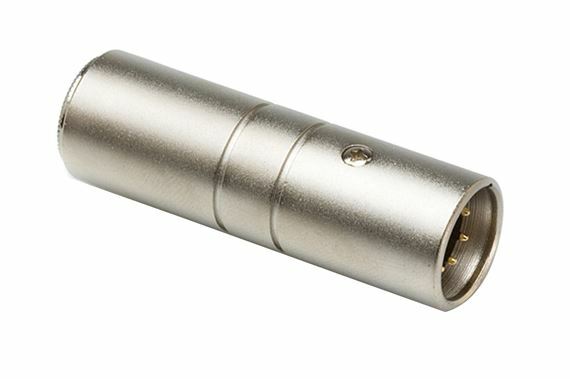 The DMX512 Terminator is a plug with XLR5M connector. Eliminate problems before they arise by using a terminator at the end of each DMX chain. This adaptor is designed to terminate a 5-pin DMX-512 daisy chain. It features a 120-ohm resistor for a safe termination. Hosa Technology has interconnected electronic devices for over 30 years. In addition to audio and video cables, Hosa also offers a comprehensive assortment of DMX cables for visual effects devices. From small setups using one controller and a series of spotlights to larger rigs with multiple effects units and sequences, Hosa can make the chain for all your DMX universes.